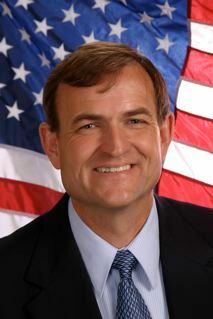 Jim Moeller now says, “Jon will still be on the ballot. He’ll still be in the voters’ guide. He just won’t have the endorsement of local Democrats or the state party,” just as Marc Boldt will not from the local GOP. Love that diversity of thought Dems were boasting back when they using Marc Boldt to hammer Republicans with. 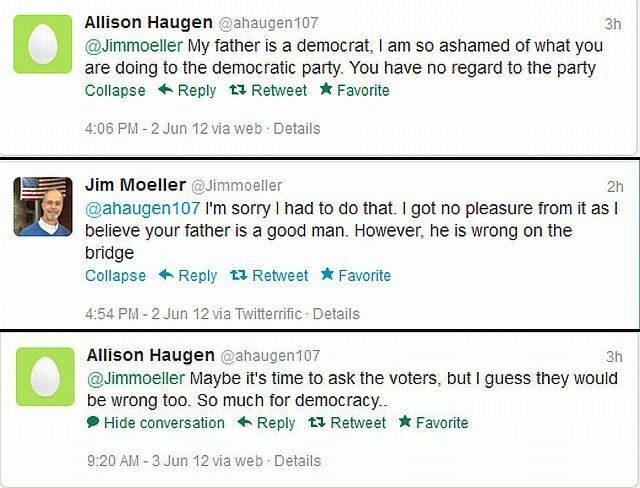 I suspected something like this Saturday evening as I stumbled across a twitter exchange between Haugen’s daughter, Allison and Moeller. It’s obvious to me she is not well pleased with Jim Moeller either. Mike Heywood, Democrats 49th legislative district chairman backs Haugen, but he lost in the vote to endorse Haugen at the Democrats convention this past weekend. Thanks in large part to Jim Moeller, Haugen stands alone in what was already a lopsided race in a redistricted district favoring Herrera. Will we see Lou Brancaccio editorializing of the Democrats “self-inflicted wound?” Will we see John Laird editorializing about Democrats “Banishing Haugen?” We will see Stephanie Rice salivating in bashing Democrats for this obvious “miscarriage of justice” as they stick it to one of their own? Jim Moeller’s arrogance and hypocrisy are reaching legendary proportions as we recently saw him dancing over joining a lawsuit to cast out the voice of 71% of Clark County voters over our demand of a 2/3 majority requirement for tax increases. We saw him gleefully throw a budget with a $1.5 Billion gap on the back burner as he delved into passing homosexual marriage into law instead of seeking a balanced budget to benefit constituents’. No, he’s shown he is more likely to sue us when things go as he wants and now, he has shown that any Democrat who speaks with reason should shown the door. It’s well passed time we rid ourselves of the infestation of Jim Moeller that continues to rot our state legislature from within. We have a chance with a common sense conservative, Carolyn Crain who will actually represent us, stand with us and be on our side for a change and not the special interests of light rail Fatcats, public unions and every other means to steal more of our hard earned tax dollars from us. We can follow Wisconsin’s example and actually turn our state around by electing Eileen Qutub and Debbie Peterson. We need to keep people like Don Benton in the 17th and Ann Rivers in the 18th. We need people on our side for a change like Liz Pike and Julie Olson. But most of all, we need to show Jim Moeller the door. I can’t honestly say I agree with every stand of Jon Haugen’s, maybe not even most. But he deserved better from fellow Democrats than to have them turn their backs on him as Jim Moeller’s behest, all because of the light rail bridge project that will bankrupt taxpayers for generations to come. 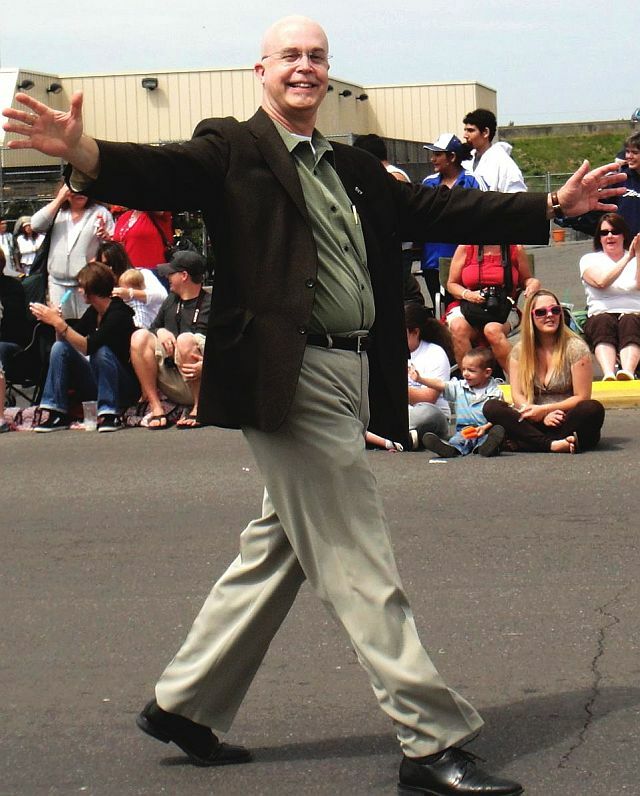 I would hope people in the 49th begin waking to the hypocritical stance and arrogance of Jim Moeller, who does not deserve to be returned to Olympia. I have been where Jon is now… Very disheartening. He’s the most conservative Democrat I know and much more capable than the current officeholder, Jaime Herrera. Republicans, even Conservatives, could deal with him easily, and he wouldn’t be afraid of Town Halls, that’s for sure! Just shows why Dems are having such a tough time in Clark County. Tick, tock, Lou. You and the Pit Yorkie need to get on the ball,,, and have Rice actually get off her wide-glide and do HER job for once. Martin, I was at the town hall. I witnessed the disgraceful behavior of the Democrats towards Herrera, and towards others who wished to participate but were unable to due to Democrat hooliganism. Having said that, I agree with you that Herrera should reinstitute town hall meetings. Politics is a tough business and it takes tough people to be in it. Jaime needs to toughen up. I don’t know what you mean by Haugen being “more capable” than Herrera. She’s managed to alienate conservatives with some of her policies and seems to have embraced a more centrist position like Baird did. Sounds like what Haugen would be doing too. I wouldn’t hold my breath waiting for Laird or Brancaccio to censure the Democrats like they did the Republicans. Carolyn Crain made some outlandish and untrue comments about Portland Metro and the SW Washington transit system, so I don’t see how she could be a better choice than Moeller. Craig, have you looked at the references Carolyn spoke of concerning Metro? Craig, I’m a Democrat, I’m allowed to be biased towards Jon, but having acknowledged that, I am still absolutely certain that he wouldn’t dilly-dally around CRC – the most important issue facing Clark County. He’s hard-nosed and relentless. If CRC is your issue – Jon Haugen would be your choice. Lew, Carolyn stated that the Metro board was unelected – an appointed board. Totally untrue. She further stated that the SW Washington RTC was somehow subordinate to Portland Metro. She did not substantiate that allegation with any facts. Her statement sounded very much like the sensational, unfounded declaration of an extremist. I’m glad someone is running against Moeller, but if Crain wants to be taken seriously she needs to get her facts straight and quit making such clearly refutable statements. Martin – don’t you think Herrera backed herself into a corner by conditioning her support on a district-wide vote? That kind of made it necessary for her to tip-toe around the whole project rather than coming out square against it. I suppose that could be due to inexperience or maybe she actually does favor a new I-5 bridge. By the way, hooliganism isn’t solely the province of Democrats. I’m reminded of the David Hedrick incident and all the rabid Republicans who cheered him on at Brian Baird’s town meeting. Hopefully, Jon’s candidacy (supported by the Dems or not) will MAKE Herrera take a stand. She can use the Oregon Supreme Court “bribe” comment to come off her previous mealy-mouthed stance. Of all the engineers who’ve reviewed CRC with me (my PE # is 48328), NONE have agreed that the bridge needs replacing for any of the reasons currently held out. The sole reason seems to be Light Rail (and perhaps union jobs but those could be out-of-state). The Dems have a totally unsupportable position. I actually support CRC but ONLY WITH A PUBLIC VOTE. If the vote fails (as it probably will) then Jon Haugen would do everything in his power to get a bridge project that would survive a vote! Jon’s not even against Light Rail – he’s only against Light Rail that is rammed down our throats. I was a delegate at the State Convention and witnessed the entire Haugen episode. Most of the people that voted against Jon were trying to send him a message that his stance on CRC should perhaps be reconsidered. The people that voted for him were pro CRC too but, since he was all we had, they voted yes. I have to say I have been at several Democratic gatherings and Jon gives the same tired, lackluster speech about his family and military service. I have not once heard him speak about the issues we face other than the bridge and it makes me uneasy and a little suspicious. His web site features short, passionless, perfunctory statements concerning all the issues except for the CRC Bridge on which he extensively elaborates. If he wants to represent the Democrats in the 3rd Congressional District, shouldn’t he be representing our views? This former Executive Director for the Washington State Republican Party will be voting for Haugen UNLESS Herrera takes an unambigous stand in opposition to this project… and “unambiguous” translates to “killing all federal funding”…. unless there is a county-wide vote. Yes Martin, you are correct. It was embarrassing. When we voted initially we were in a private room. We just wanted Jon to take us seriously. The vote was close but, he won. It wasn’t until we went back to the main hall and the entire body, 800 or so people from all over the state, voted on his candidacy. I was as shocked as anyone. I just didn’t think it would go down that way. It’s as if the mass of delegates had some information that some of us didn’t have. In case no one picked up on it, the entire point of this [post points back to Democrats outrage over County Commissioner Marc Boldt running afoul of the Clark County GOP and being sanctioned. In his case, it wasn’t a single stand like CRC, but several incidents counter to his campaign values expressed. The Columbian published several articles that drew hundreds of comments condemning the local GOP over the action with many claiming Democrats would never do such a thing, many taking a “holier than thou” stance. I’d just like to remind Democrats that as I said back then, ya’ll do the same exact thing, even if in a different way. You expect your values and views to be represented by those you elect, nominate or endorse. Likewise, we conservatives that elected Marc Boldt had expectations of him that were betrayed, several times, not just once. But, I do find it amusing now, seeing justification uttered in regards to “sanctioning” Jon Haugen coming from the same party that so readily condemned the GOP. Laura’s comment makes me think that Haugen is an alright guy – someone who has the integrity to stick with his convictions regardless of the cost. Now there’s someone who should be in Congress! So. Are we holding our collective breath waiting for the democratian to treat theirs the same way they treated the GOP? LOL, I’m sure not waiting on it. They said their piece about him having a “fairly horrible experience” and that should end it, showing they are not biased because they mentioned it. Of course, who is flooding in to the comments to condemn Democrats either? I guess Greg Owens and Mike Briggs are silent now since they can’t tie it to David Madore.